May 16, 2013 – Audio only. Investigate the impact of federal actions (including the federal government shutdown, sequestration, military force reductions, and potential base closure or realignment) on active-duty service members, the Texas Military Department, veterans, their families, defense-related contractors, small businesses, local governments, and state agencies. Monitor and examine efforts to provide employment and workforce opportunities for veterans, service members, and their families. Make recommendations on how best to continue collaborating with and supporting our honored veterans as they re-enter the civilian workforce, including improving employment opportunities for veterans at all state agencies. Provide an update on the State Strike Force teams' progress and recommendations on any additional steps necessary to ensure that veterans promptly receive all federal disability benefits to which they are entitled. Study and make recommendations to improve access to services provided by non-profit organizations to veterans, their families, and survivors, including examining the effectiveness, standards, and consistency of the 2-1-1 information and referral system for military and veteran families statewide. Monitor the implementation of the veterans occupational licensure bills passed during the 83rd Legislative Session to expedite the licensure process for those who are serving, have served, or are married to someone serving our nation in uniform. 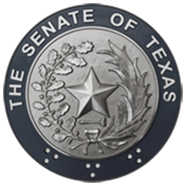 Study and make recommendations to strengthen and improve state efforts to ease the transition of military veterans and their spouses into the Texas civilian workforce. Monitor implementation of the veteran's mental health legislation passed during the 83rd Legislative Session, including funding to support the Military Veteran Peer Network at Department of State Health Services. Assess whether state mental health initiatives targeted to veterans and their families appropriately address Post Traumatic Stress Disorder. Study and make recommendations to enhance the delivery of mental health services to veterans at the local level through the network of Veteran County Service Officers.